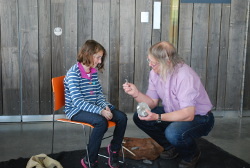 Flint knapping is a form of experimental archaeology. 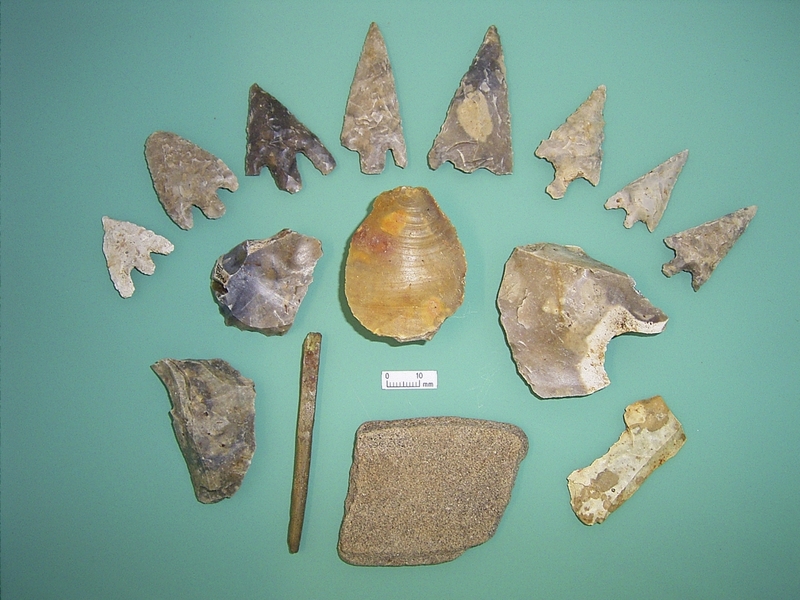 It is the shaping of flint into stone tools and arrowheads, as used by prehistoric peoples. There are different techniques involved. Hard hammering is where cobbles of hard stone are used to break off large flakes from the flint core being worked. Pressure flaking is the final stage of knapping; it involves removing thin flakes along the edges of a tool to make it into its final shape and to sharpen it.